Pushing the local fiber internet services market forward, Converge ICT recently unveiled a suite of new products that are set to give a seamless connectivity experience for its subscribers. Partnering with hardware manufacturer Linksys®, the home router pioneer and first to sell 100 million routers globally, the telco company introduced Converge Seamless, a Whole Home Mesh Wi-Fi System called Velop. Linksys Whole Home Mesh WiFi will help simplify the way Converge’s subscribers experience pure, end-to-end fiber internet. Linksys’ Velop Intelligent Mesh Wi-Fi system is the world’s first true Whole Home Wi-Fi with an intuitive design and functionalities that simplifies everything from setup to daily use. The Velop nodes have gained multiple industry awards for design excellence, as well as positive reviews from tech critics for both performance and reliability. Through Converge ICT´s exclusive partnership with Linksys®, the full potential of a pure fiber connection is now unlocked right at home. 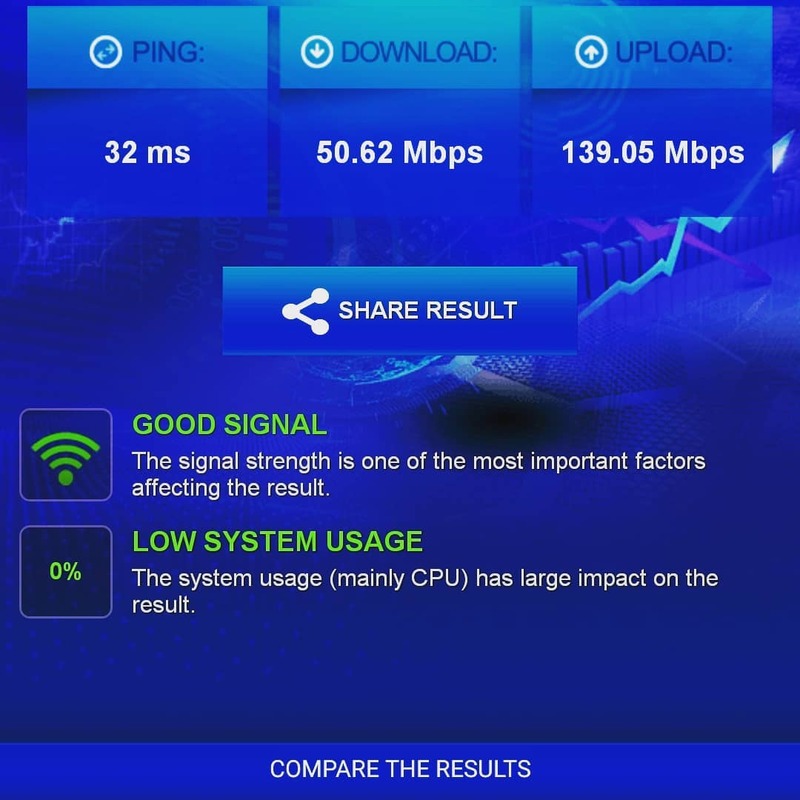 Aside from having powerful devices which can take advantage of Converge ICT’s pure fiber speeds, subscribers can now fully optimize their spaces and connect anywhere within their homes and offices. This is what the modern Filipino household needs: a seamless WiFi experience that connects not just devices, but also the whole family. One problem when it comes to household WiFi use is the existence of dead spots, specific areas within a home where the WiFi signal emitted by a router is either too weak or blocked. Dead spots are caused by signals getting blocked due to walls and other objects. 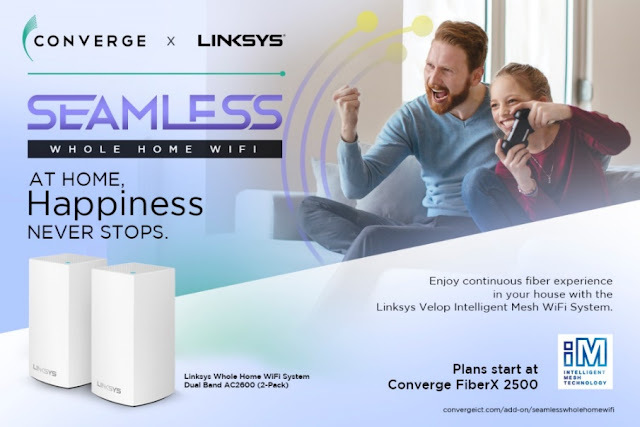 With Linksys’ suite of intelligent whole-home Mesh Wi-Fi solutions, Converge ICT subscribers can now have a reliable connection wherever they may be. The Linksys Whole Home Mesh Wi-Fi System nodes are crafted with a simple and sleek design that’s visually similar with current trends in IoT (Internet of Things) devices such as home hubs, smart TV boxes, and smart displays. Linksys' Intelligent Mesh Technology allows the router to self-organize, self-optimize, and healing. This simply means that each node automatically connects to your router and even suggests the best spots for you to place it. If ever a node within your home gets disconnected, the remaining nodes instantly regroup and link with each other. The nodes are very easy to set up, all users must do is plug them in, tap a few settings on the mobile app, and let the technology do the rest. The Velop nodes also have industry-standard features such as parental control, guest access, and native testing capabilities all built into the device. Converge is offering the Seamless Whole Home Wifi System (AC2600 Dual Band, 2-Pack White) as an Add-on service to New and Existing FiberX subscribers. The offering starts at Plan 2500 for only P600.00 per month for 24-months on top of their internet plan. You have a big house. Your house consists of multiple floors. You are using multiple gadgets and equipment in your home. You require stable connection across devices. Otherwise, it might just be an additional cost for you. 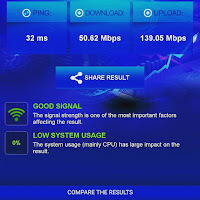 I want to personally test this Linksys Velop WiFi soon and hopefully, we can so that we can have a detailed feedback. 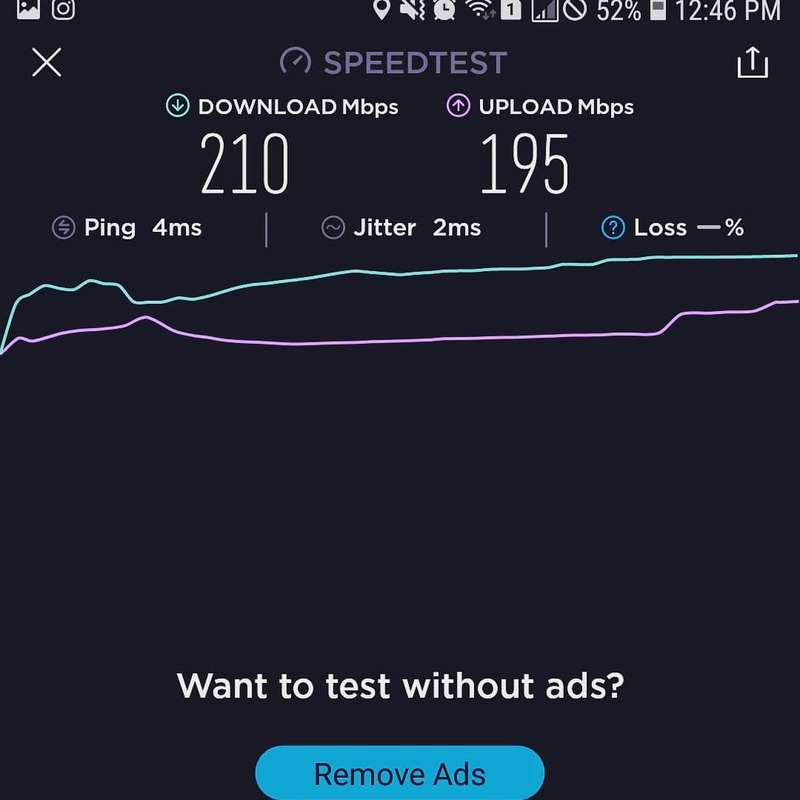 Would also like to share our speed test during our mobile WiFi connection at the event. 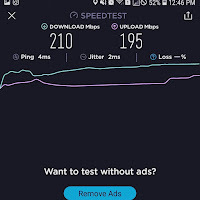 If you have issues with Converge or you want to share your experience or speed test just post it in the comments section below.